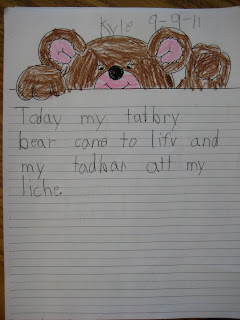 Did your student tell you all about Teddy Bear Day? I hope so but here are some highlights just in case. 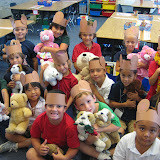 In the morning, we made teddy bear headbands as we listened to the Teddy Bear Picnic song. 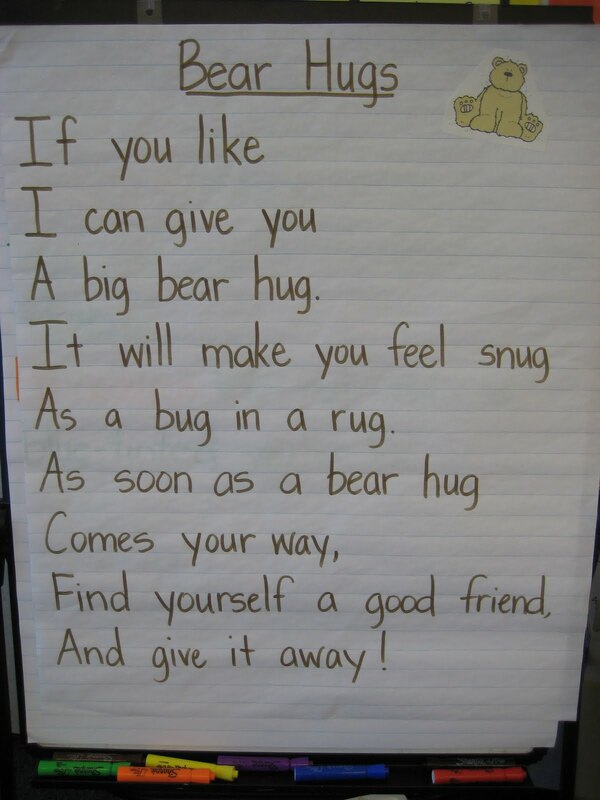 We introduced our furry friends and made a class book to add to our classroom library. A crisis was narrowly averted when the missing teddy bear eye was found. 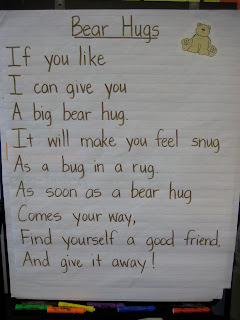 We recited a bear poem and read bear stories. Today my teddy bear (came) to life and snuck up and scared me. 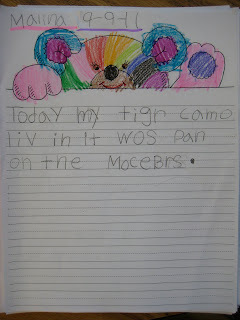 Today my tiger came to life and it was playing on the monkey bars. At the end of the day, students each got 12 gummy bears to sort by color and then make a bar graph. They then switched papers with their partner and answered questions about the graph. Of course, their favorite part was getting to eat the gummy bears! I included a few more pictures in this Picasa web album. If you click on the album you will be brought to Picasa. From there you can order prints using various vendors such as Shutterfly, Snapfish, Walgreens, etc. I hope you enjoyed your glimpse into our special day.